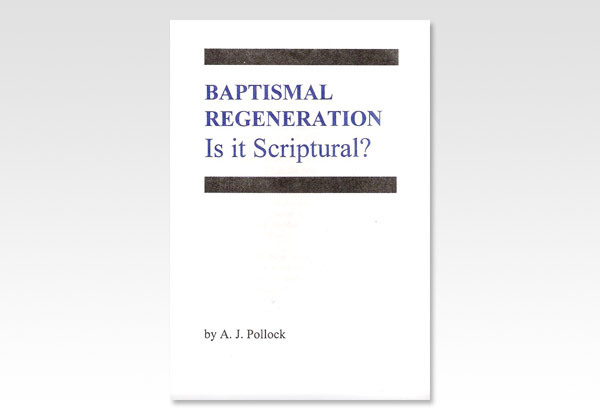 Believers Bookshelf - Baptismal Regeneration - Is it Scriptural? As a result of that work of God's Holy Spirit, - the glorious Reformation, England threw off the yoke of Roman Catholicism with its superstitions, traditions and idolatries. An edition of the Book of Common Prayer, with these evil teachings removed, was produced in 1549 in the reign of the youthful King Edward VI. This book did not fully satisfy the more zealous reformers, so much so that when one of two or three subsequent revisions was produced in 1660 in the reign of Charles II, no less than 2,000 godly clergymen gave up their livings, rather than adopt the new Prayer Book. In spite of all these revisions, alas! The Book of Common Prayer in use today contains a most serious departure from the truth of God. We refer to the Baptism of Infants. In the Catechism to be learned by every candidate for confirmation the following question and answer well describe what is meant by Baptismal Regeneration. Question: Who gave you this name?